Researchers from the Centre for Genomic Regulation (CRG) in Barcelona have managed to regenerate the retina in mice using neuronal reprogramming. There are currently several lines of research that explore the possibility of tissue regeneration through cell reprogramming. One of the mechanisms being studied is reprogramming through cell fusion. Researcher Pia Cosma and her team have used the cell fusion mechanism to reprogram the neurons in the retina. This mechanism consists of introducing bone marrow stem cells into the damaged retina. 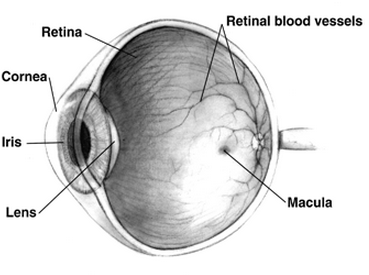 The new undifferentiated cells fuse with the retinal neurons and these acquire the ability to regenerate the tissue. "For the first time we have managed to regenerate the retina and reprogram its neurons through in vivo cell fusion. We have identified a signalling pathway that, once activated, allows the neurons to be reprogrammed through their fusion with bone marrow cells," explained Pia Cosma, head of the Reprogramming and Regeneration group at the Centre for Genomic Regulation and ICREA research professor. "This discovery is important not only because of the possible medical applications for retinal regeneration but also for the possible regeneration of other nervous tissues," said Daniela Sanges, first author of the work and postdoctoral researcher in Pia Cosma's laboratory. The study demonstrates that the regeneration of nervous tissue using means of cell fusion is possible in mammals and describes this new technique as a potential mechanism for the regeneration of more complex nervous tissue. Altough the research is in the very early stages but already there are laboratories interested in being able to continue the work and take it to a more applied level.